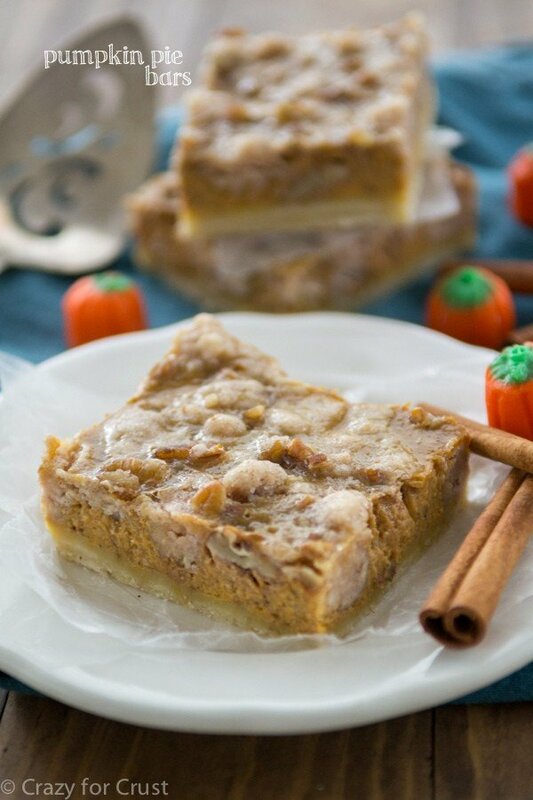 Want a pumpkin pie recipe that’s tried and true? 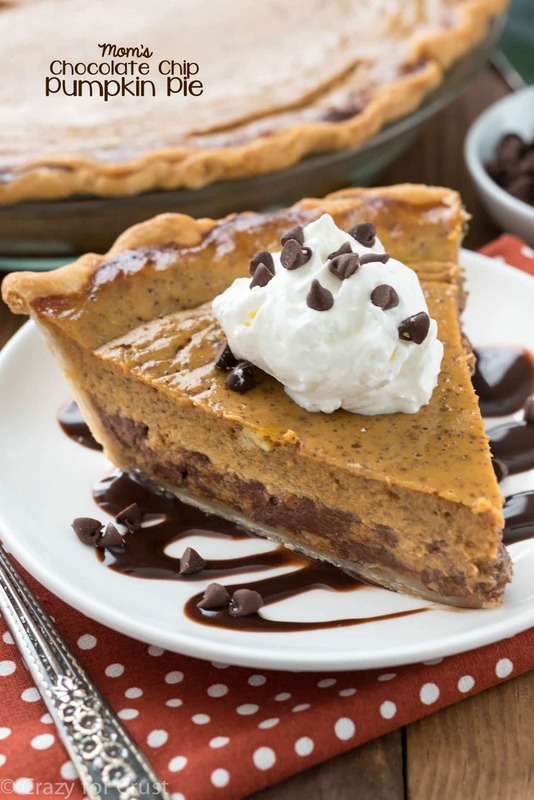 This Chocolate Chip Pumpkin Pie is it – it’s my mom’s recipe! This pie has been at every holiday and family gathering as long as I can remember. Well, sort of. I added the chocolate chips to my mom’s recipe because, well, why not? Chocolate chips belong in everything, including pumpkin pie! Ever since I was a kid, my mom always brought pies to every holiday party. 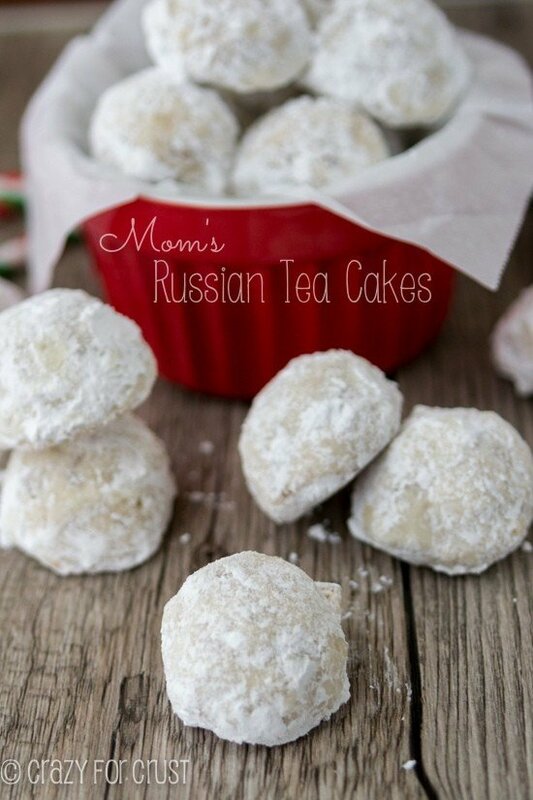 (And Russian Teacakes too!) The two pies that we always made were Pecan Pie and this Pumpkin Pie. I’m not sure why it took me 5 years to post her pumpkin pie…forgive me? Whenever I think of this recipe, I think about Christmas, Thanksgiving, and Heidi’s Pies. That last one was a pie shop near where I grew up. For the entirety of my childhood, my mom used two silver pie tins that she’d saved from buying pies from Heidi’s back in the 70s. I never actually ate at Heidi’s Pies, but I ate pie from their pie plates several times a year! There were a few staples we used when making my mom’s pumpkin pies each year: already prepared pie crust (from the refrigerator), canned pumpkin, and McCormick spices. While I wasn’t a fan of pumpkin pie as a kid, I loved making them with my mom. Why? Because of the spices! I absolutely loved opening up the allspice, cloves, and ginger and taking big deep whiffs of their spicy scents. Even today, smelling those pumpkin pie spices makes me immediately transport to Thanksgiving, Christmas, and standing on a chair in my Mom’s kitchen, stirring the pumpkin pie mixture. Sometimes I’ll randomly pull out the McCormick spices just to transport myself back in time. This pie recipe could not be easier if you tried. Literally all you do is dump everything into a bowl, stir, and pour it into a prepared pie crust. It really is that fast and easy – and good! The pie is very full. I used a standard 9″ pie plate and you can see from the pictures it’s full to the brim. Be sure to use at least a 9″ pie plate for this recipe or it will spill over. You can also use 9.5″ or 10″ pie plate, or a 9″ deep dish. Either way, put it on a cookie sheet for baking. This helps when you’re transporting it to the oven too, since it’s so full. The pie bakes a long time. The crust will get over done if you don’t cover it. I like to cover the edges of my crust with foil and then remove them about 15 minutes before baking ends. You can also use a pie shield, if you have one. You can add that at the beginning and remove it, like the foil, or just add it to the pie after about half the bake time. My mom used to make this as two pies, in two 7″ pie plates. Feel free to do that if you want, using 2 crusts. If you want a traditional pumpkin pie recipe, just leave out the chocolate chips. But that would make me sad, because the added chocolate is so good in this pie! This is my Mom's Pumpkin Pie recipe, filled with chocolate chips! This pie has been made at every family gathering for years - it's a favorite! 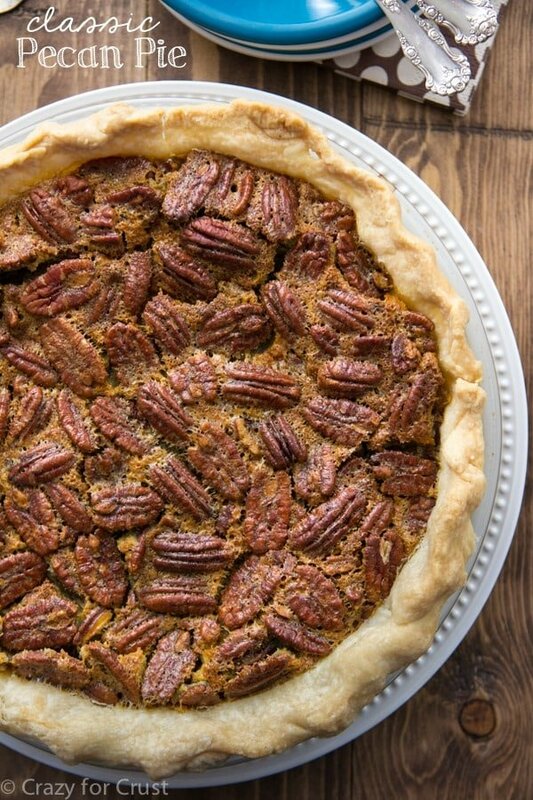 Place your pie crust in a 9-10” pie plate. Please note: this pie gets very full. It’s pictured made in a standard 9” pie plate. If you have a 9.5” - 10” or 9” deep dish pie plate, you can use those as well. Just don’t use anything smaller than 9”. (Also - you can make this as two 7” pies, using two pie crusts.) Place pie plate on a cookie sheet for baking. Place pumpkin, salt, milk, eggs, both sugars, and spices in a large bowl. Whisk until smooth. Stir in chocolate chips. Pour into pie plate. It’s best if you cover the edges of the pie crust with foil before you start baking. Remove the foil after 50-60 minutes of bake time. You can also use a pie crust guard, if you have one. If you’re using a pie crust guard, you can also add it later on in the baking process, if you wish. It’s in the oven for a long time and the crust will get too brown without being covered at some point. Carefully transfer pie to oven and bake for 60-75 minutes. I’m giving a large range in time because it depends on what size pie plate you’re using and your oven. My 9” pie plate took 70 minutes. It’s done when the center looks solid. Cool completely, then wrap tightly and chill for at least 4 hours before serving. Serve with whipped cream. Store in refrigerator. This post is sponsored by McCormick as part of my ongoing ambassadorship with the brand. All opinions are 100% my own. Thanks for supporting the brands that make Crazy for Crust possible. My mom always used refrigerated pie crusts too! They’re easy and fool-proof, a necessity when baking for crowds during the holidays. I love the chocolate chips added in. Chocolate chips make every dessert even better! Try it with white chocolate chips too, yum. 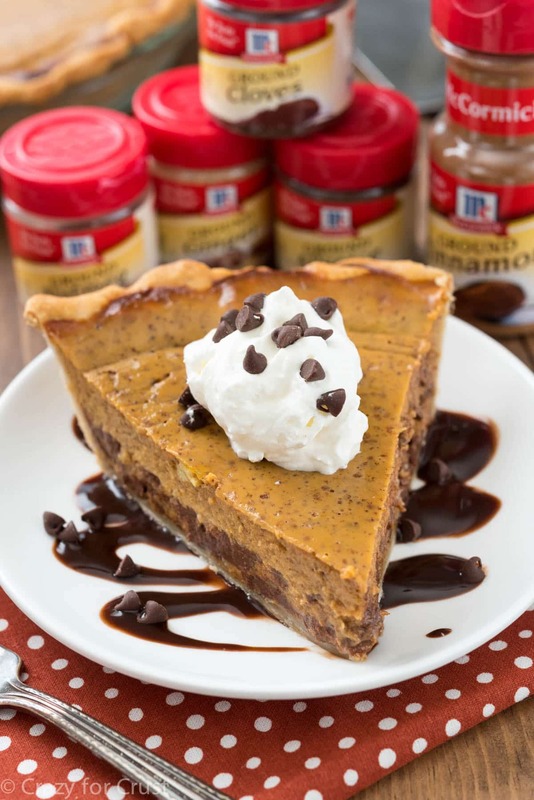 Oh my gosh, I love the idea of adding chocolate chips to a pumpkin pie. That’s just what it needs. Can’t wait to try this! This looks great! If I wanted to use pumpkin pie spice instead of all the individual spices, what measurement would you suggest? I don’t want to under or over do it!! ? Could I make this crust less? I’ve never tried but you probably can. It won’t slice like pie though, it will be more like a creme brûlée or baked pudding. Do you cook the pie crust first. If I am using pumpkin pie seasoning (like the all mixed together kind) how much of that should I use? I made this and it was loved by everyone! Excellent recipe!